"The incidence of fatty liver in Singapore is increasing just like in most parts of the developed world. Many of the relatively young people whom I treat for gallstone disease also have fatty liver," says Pierce Chow, senior consultant at the Department of General Surgery of Singapore General Hospital (SGH) and professor at the Duke-NUS Graduate Medical School Singapore. The good news is a simple fatty liver condition is reversible in most cases. However, if it is not managed properly, it can lead to a more serious liver disease called non-alcoholic steatohepatitis (NASH) where the fatty liver becomes inflamed. NASH may progress to permanent scarring and hardening of the liver, a condition called liver cirrhosis. 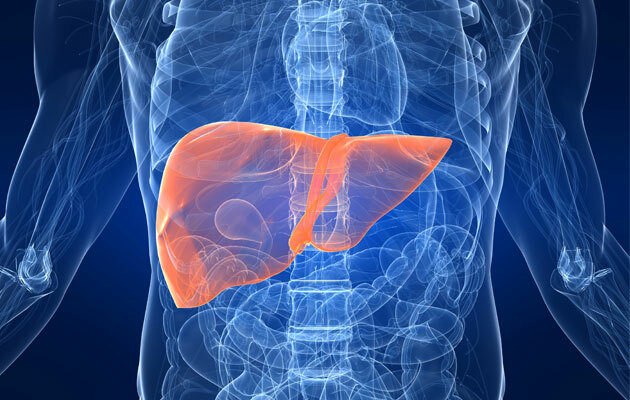 People with liver cirrhosis have a higher risk of liver cancer. Related article: Learn how to prevent hepatitis B, the most common cause of liver cancer worldwide. Late symptoms relate to the complications of liver cirrhosis and include nausea, jaundice, swollen abdomen and poor concentration. A fatty liver also carries a higher risk of liver failure, should surgery of the liver be required, mentions Chow. A fatty liver is an abnormal accumulation of fats in the liver cells. Non-alcoholic fatty liver is closely linked to obesity, diabetes and the metabolic syndrome, conditions which are also on the rise. Studies have shown that 80 per cent of obese people and 70 per cent of people with diabetes have fatty liver disease. High cholesterol and high blood pressure are also correlated with fatty liver although fatty liver can be found among the young and thin with no high blood pressure. Why do we need a healthy liver? The liver, located at the right upper abdomen, is a key organ. It keeps the body in optimal health by performing metabolic and detoxifying functions. A healthy liver regulates the amount of fat, protein and glucose in the blood. It processes nutrients from the intestines. It also removes toxins and drugs from the bloodstream. Management involves diagnosing and treating the underlying cause of the fatty liver disease. "With counseling, a few of my patients became very motivated and managed to reverse their fatty liver disease through disciplined lifestyle changes," says Chow. It is important that young people with fatty liver take steps to control their weight and glucose levels to prevent the condition from deteriorating, adds Chow. Eliminate refined sugar, e.g no sugar in coffee. Eat plenty of vegetables, whole grains, seeds and nuts, pulses and legumes. Exercise at least five times a week. Each session should last at least 30 minutes. It can be any form of exercise but it should at least raise the pulse rate moderately. This article was written by Teresa Cheong for Health Xchange, with expert input from the Department of General Surgery, Singapore General Hospital.